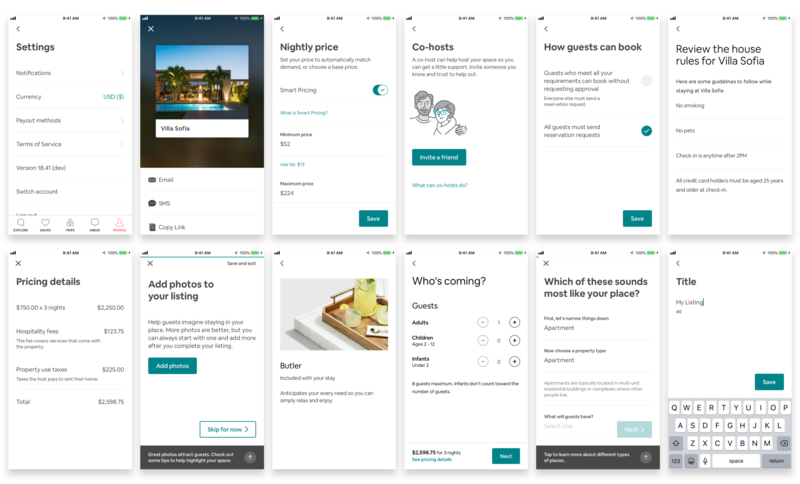 Some of the ~200 screens in the Airbnb iOS app built using AloeStackView. Want to get involved? We’re always looking for talented people to join our team! AloeStackView is developed and maintained by Marli Oshlack, Fan Cox, and Arthur Pang. AloeStackView has also benefited from the contributions of many Airbnb engineers: Daniel Crampton, Francisco Diaz, David He, Jeff Hodnett, Eric Horacek, Garrett Larson, Jasmine Lee, Isaac Lim, Jacky Lu, Noah Martin, Phil Nachum, Gonzalo Nuñez, Laura Skelton, Cal Stephens, and Ortal Yahdav. In addition, open sourcing this project wouldn’t have been possible without the help and support of Jordan Harband, Tyler Hedrick, Michael Bachand, Laura Skelton, Dan Federman, and John Pottebaum.